Alteva will participate in Chorus Communications' 2010 webinar series, to run every Tuesday, starting March 23rd. The webinar series is designed to provide sub-agents with the knowledge base needed to sell the hottest products in the marketplace today, including hosted VoIP and unified communications solutions. Goober announces two new free mobile applications, goober VoIP and goober for Apple's iPhone. Both applications are available now to download for free from the iTunes App Store, searching the keyword "goober." Goober VoIP for the iPhone allows users to make local and international VoIP calls for significantly less money than their carrier would charge, saving up to 90 percent on all phone calls, with costs as low as $0.01 a minute. Connected to any WiFi or 3G network, goober VoIP delivers crystal-clear HD voice capabilities for all destinations, nationally and globally. With goober VoIP, users prepay directly via their iPhone at flat-rate fees and avoid any charges on their mobile carrier's phone bill. Also, the first two minutes are free of charge for calls anywhere in the world. 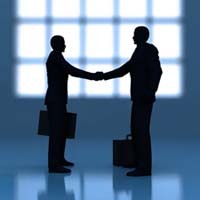 Covad and MegaPath announce an agreement to combine the operations of Covad and MegaPath. Pending federal and state regulatory approvals, the transaction will create one of the largest managed service local exchange carriers in the United States. The combined businesses will have the largest Ethernet, DSL and T1 footprint in North America and be the only MSLEC capable of providing a full range of Internet, voice, security and VPN services nationwide. ABP Technology is now delivering pre-configured units of the SmartNode 5200 Enterprise Session Border Router from Patton. Leveraging Patton’s SN5200 ESBR, ABP delivers fully-provisioned, tested, and 100% quality-assured SIP-trunking solutions that help Internet Telephony Service Providers reduce start-up costs and focus on core revenue-generating activities such as subscriber acquisition. By pairing state of the art provisioning services with carrier-grade SmartNode Session Border Controller equipment, ABP and Patton enable ITSPs to attract new business subscribers and increase profits by delivering survivable, value-added SIP-trunking services. Speakeasy eliminates one of the last barriers to VoIP adoption, offering free IP phones to new business customers. For a limited-time only, Speakeasy is including, free of charge, Polycom SoundPoint IP 321 VoIP-enabled phones to new business customers who purchase unlimited or global Hosted Voice calling plans and have a minimum of five lines. According to a report by In-Stat, VoIP is expected to see 79 percent penetration among U.S. businesses in the next three years, up from 33 percent of businesses currently using VoIP. Speakeasy hopes to accelerate this growth trend, lowering the barrier even further by eliminating up front phone costs with its promotion. Vopium has entered a long-term agreement with Canadian based Convergia Networks Inc. to supply Convergia with Vopium's mobile VoIP and messaging platform. The agreement will allow Convergia to offer the entire Vopium portfolio of advanced mobile and web-based communication services, including mobile VoIP, SMS, Instant Messaging, contact back-up, web-calling etc across North and South America under the Convergia Brand. 4PSA announces their expansion into the US market. The company reached an agreement with Mike Ross, an industry veteran in telecommunications and Internet Telephony to head up their operation in the Americas. "Mike will have an important role in the development of our brand and products. He will also be in charge of building the channel and network as well as the infrastructure to support our expanding customer base in North and South America. ", said Bogdan Carstoiu, 4PSA's CEO. 8x8 has been granted United States Patent number 7,684,554 entitled "Virtual Telephone Extension." The patent issued from the U.S. Patent and Trademark Office on March 23, 2010. The patent relates to methods of routing communications to users and associated equipment by utilizing a user identifier that serves as a virtual extension number. By utilizing the invention described by the patent, users can remotely direct their calls to communication devices at various geographic, voicemail and email destinations. Verizon Wireless and Skype announced Skype mobile will be available this Thursday, March 25, starting with nine Verizon Wireless 3G smartphones. Skype mobile uses the Verizon Wireless voice network for the wireless connection of the Skype-to-Skype calls, providing Verizon Wireless customers with a superior experience and top-notch call quality. Beginning Thursday, new and existing Verizon Wireless customers with Android 3G smartphones and BlackBerry 3G smartphones can get Skype mobile in a number of ways. Visit www.verizonwireless.com/skypemobile or www.skype.com/go/mobile from a PC to enter the mobile phone number to receive a text message with a link to the application. Verizon Wireless customers can also text “SKYPE” to 2255 to receive the link. In addition, Android customers will be able to download the app from Android Market. New BlackBerry customers will find the application on their 3G smartphones’ home screens in the Downloads folder when activated. IVR Technologies announces that they have added a Google Android compatible version to their popular Talking SIP Mobile smartphone line. Talking SIP Mobile is available on leading smartphone platforms like Blackberry, Windows Mobile, iPhone and now Google Android to facilitate direct and callback calling from a mobile handset at significant cost savings over the typically exorbitant mobile international long distance rates charged by mobile carriers. Talking SIP Mobile smartphone applications are just some of the many in-demand and innovative services offered on the Talking SIP solution, which offers a fully integrated application, media and billing server, to drive revenue and higher margin to service providers’ next-generation networks. VoIP Supply announces the launch of an enhanced category for HD VoIP technology. The new enhanced HD VoIP category features educational information, manufacturer solution overviews and a full suite of HD capable handsets. Rebtel demonstrated a new application for Android phones that automatically makes international calls between 51 countries free of charge – no Wi-Fi required. Called Rebtel Free Call, the app will be in the Android Market by next week. The iPhone and BlackBerry versions are now being prepared for submission to Apple and RIM. Select an international phone number from the onboard address book or type in the number. Rebtel uses the standard cellular network to connect the call over the Internet. 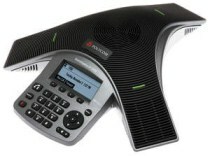 Polycom announces the SoundStation IP 5000 conference phone. The SoundStation IP 5000 features Polycom HD Voice and offers robust SIP-based VoIP interoperability at a price that is well within reach of organizations of all sizes. Designed specifically for the needs of private offices and small meeting rooms, the voice quality of the SoundStation IP 5000 far surpasses that of traditional desktop speaker phones. Continuing its efforts to empower service providers to provide seamless and ubiquitous voice, video and data service to subscribers across any 4G mobile network, Nortel Carrier VoIP and Application Solutions unveiled new wireless and 4G Mobile VoIP solution enhancements that equip carriers to deliver a superior user experience, reduce network deployment costs and speed time to market. Nortel CVAS' 4G Mobile VoIP solution equips operators to integrate seamlessly with all cellular technologies, including 2G, 3G and the latest 4G LTE and WiMAX networks. The solution delivers a consistent set of voice, messaging and multimedia services to all of the subscriber's devices, with seamless hand-off across WiFi, GSM 2G/3G, CDMA 2G/3G, HSPA/+, WiMAX and LTE networks.